The Great War Roadshow was an important and integral part of our cultural services planning this year. The quality and standard of the presentations at the King House event in County Roscommon was impressive and the various speakers left a lasting impression with the audience. We had positive engagement and feedback on the variety of subjects and themes covered and the event proved a fitting, valuable and informative event as part of our decade of commemorations programme. RTE presenter Myles Dungan brought his entertaining and informative Great War Roadshow to the Waterford Theatre Royal and commemorated, in song and story, aspects of that ‘war to end all wars’. His programme notes were an ammunition case of interesting facts and he delivered introductions with wit and irony… He was joined by the excellent Brook Singers… the actor/singer Brendan MacQuaile added a dramatic touch and Jonathan Creasy and Sadhbh Burt Fitzgerald brought rap and youth to the stage. The Great War Roadshow was a tremendous success in Cavan. Lectures were delivered in a very professional manner and provided knowledge, information and entertainment in equal measure. The musical evening in the Town Hall was a fitting finale to the event and many patrons hoped that the show would be repeated in neighbouring counties. Songs and music were performed by artists whose enthusiasm was infectious. Myles Dungan did trojan work as co-ordinator and his energy never flagged from 10am to 10pm. The Roadshow commemorates the Great War in a fitting and enjoyable manner and is well worth going to see. The Great War Roadshow offers a unique perspective on WW1 combining a series of incisive lectures with a highly entertaining evening of music and song. Not to be missed. This letter is to acknowledge with sincere thanks the magnificent contribution you have made through your management of Media Relations on behalf of IEC2012. The project benefitted enormously from your substantial experience in the various areas of communications. Working with you during the Emerald Classic Game - your help and enthusiasm during this filming was truly invaluable. As is often the case with TV crews, there can be last minute requests which can really demanding and difficult for us to deliver, but because of your drive and excellent contacts we were able to give CBS Sports the necessary clearance to go ahead with using some footage filmed at the Fitzwilliam Lawn Tennis Club and you very kindly organised all this for us. We received amazing feedback from CBS Sports in relation to the arrangements for their filming here and you can rest assured that you playing a huge part in supporting us. Hopefully we can work together again in the future. We at the Irish Hockey Association were delighted with the level of service TalentBase provided us before, during and after the ESB Irish Hockey Awards, our most prestigious event in the calendar year. It is fair to say that our event would not have been the success it was without the input of TalentBase and we look forward to working with you again in the future. Kilkenny County Library Service were delighted to host the acclaimed Mná na hEireann Roadshow recently, which delivered a feast of history, stories and song, taking the audience on a compelling, and often humorous journey in commemoration of the historic winning of the right to vote.  Pegasus Consulting were a pleasure to work with, having tailored the show to our specific space and needs , and the night was a resounding success.